Sometimes diagnosing a loss of SEO visibility is rather straightforward. But not always. If you’re not entirely out of luck, things might be a bit more subtle. So, if you’re worried that your website might be experiencing an SEO visibility loss, you’re in the right place. Read on to learn what SEO visibility is, how it is different from SEO traffic, and how to identify and battle a potential drop in search visibility and/or traffic. SEO visibility is a metric that tells you what percentage of all possible organic clicks (from SERPs) a website is getting for a given keyword. 100% SEO visibility is the absolute best edge case that basically never happens. It would mean that your website owns all the organic spots in Google for a given keyword and all the “clickable” SERP features. Read: you’re getting 100% of the available clicks. 35% SEO visibility is when you rank #1 for your keyword. Here, 35% represents the amount of clicks that you can generally expect to get when ranking #1 for a search term. To that tune, if you rank, say, #10, your SEO visibility is at 2%. From there, it goes like you’d expect. Lastly, ranking outside of the first page gives you 0% SEO visibility. After all, page two of Google is the best place to hide a dead body. Additionally, the values add up in case you occupy more than one spot. So for example, being on #1 and #2 means 55% SEO visibility. As in, why would you care what your SEO visibility score is? Search visibility is a great metric to help you figure out if you’ve been hit with an algorithm update or a penalty (more on that in a minute). It tells you how big your piece of the available traffic pie actually is. For example, if you’re only looking at your raw SEO traffic numbers, you’re not getting much insight in terms of how much more traffic is there still to grab. Thus you will notice any room for improvement quicker. For instance, if you’re getting, say, 200 visits for Keyword1 and 100 for Keyword2 then it might not be immediately apparent which of these keywords deserves more of your attention. However, seeing that the visibility for the first one is already at 55% (you rank both #1 and #2), while the second one is at 12%, means that the former is pretty much maxed out in its potential, while the latter can still be worked on and improved. Is “SEO visibility” a synonim for “SEO traffic”? SEO visibility is a relative value that’s represented as a percentage. It tells you what percent of the available pool of clicks you’re getting. SEO traffic is an absolute value. It is the exact number of visitors (clicks) that you’re getting. An interesting implication of this is that your SEO traffic may fluctuate while your SEO visibility remains stable. For instance, one week you’re getting 2000 visits from a keyword, and the other you’re getting 2200 — while still ranking #1 for the keyword both weeks. In this light, gaining/losing SEO traffic is not always caused by a gain or loss of SEO visibility. However, gaining/losing SEO visibility will always have an impact on your SEO traffic. This makes looking into your overall SEO visibility perhaps the quickest way to identify any SEO problems going on, including Google penalties, algorithm updates, and even technical problems. If you’re not very technical with your website setup then getting less leads for your business is perhaps the easiest trend for you to notice, making it a good first stop when assessing your current SEO visibility. The number of leads coming through your funnel is strongly connected to the amount of traffic you’re getting and thus to your SEO visibility overall. The best tool by far to assess a potential loss of SEO traffic is Google Analytics (GA), as you would expect. 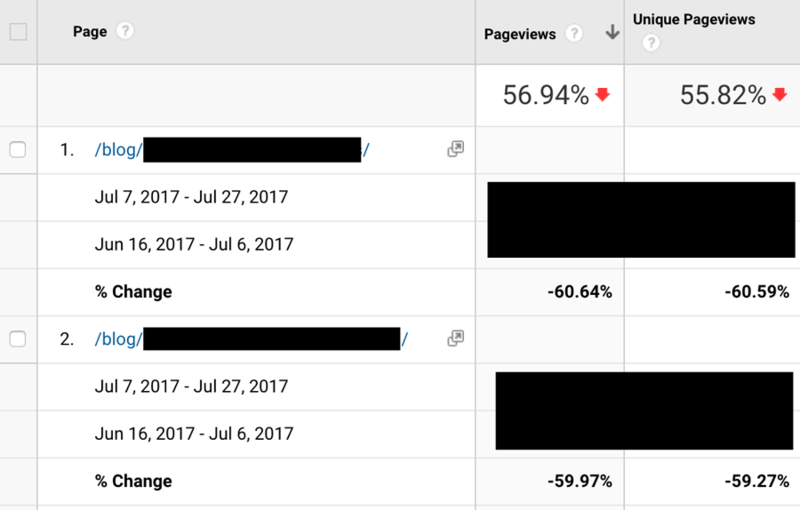 Basically, if your site lost any of its SEO visibility, this is going to be reflected in your overall organic traffic stats. Examining those numbers gives you a general overview of the situation and its seriousness. Start by going to your GA profile and check if your traffic numbers seem out of place compared with the average numbers across the previous weeks/months. Now that you know something is going down, and that it’s reflected in your overall numbers, you should narrow down on the specific time period that seems most likely to have been hit and compare it to another time period — one where your numbers were normal. 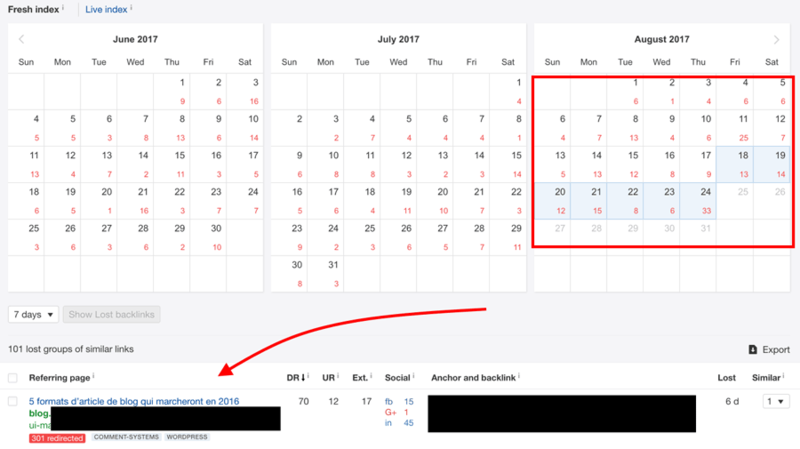 In my case — based on what I saw in the main traffic overview screen — I zoomed in on the problem to have been happening between July 7th‐27th, and then I compared it to the previous period. This can be done in GA’s section Behavior → Site Content. Once there, you can find the specific areas of your site that got hit the most. Remember, we’re just looking into the organic traffic, not the overall numbers. What you’ll see is a list of your most valuable pages that have also been hit the most. One more thing we’re going to do with GA is check how the site is performing on mobile. Depending on how mobile‐friendly your website is overall, it’s possible that some of your SEO visibility loss (or even all of it) comes from mobile. Now that you know some of your traffic is gone, you should start looking into your search engine rankings. 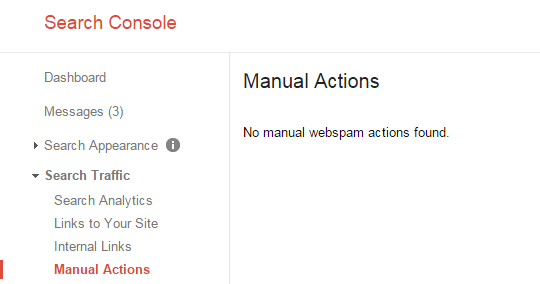 We’re going to use two tools for that: Google Search Console (GSC; formerly known as Google Webmaster Tools) and Ahrefs. This one has a lot of great uses for every site owner and especially if you want to assess your SEO visibility losses in certain areas. In general, if you haven’t integrated your website with GSC yet, you should do it ASAP! In short, what this means is that any serious problem with your SEO visibility will be reflected in your impressions graph. You can see it by going to Search Traffic → Search Analytics. To my taste, Google’s tools force you a bit too much into doing a lot of guessing work if you want to check where you rank for a keyword. Google is (more or less) open against any sort of keyword‐based rank tracking. 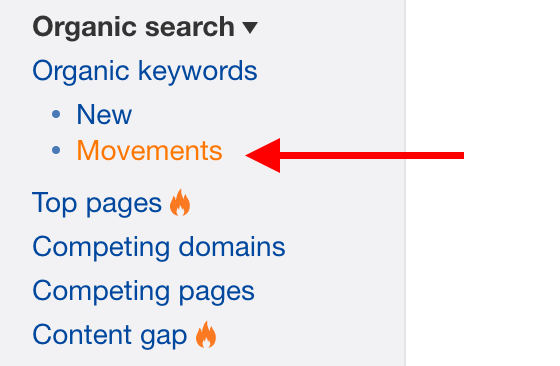 Ahrefs is more straightforward in the way it presents your rankings changing. 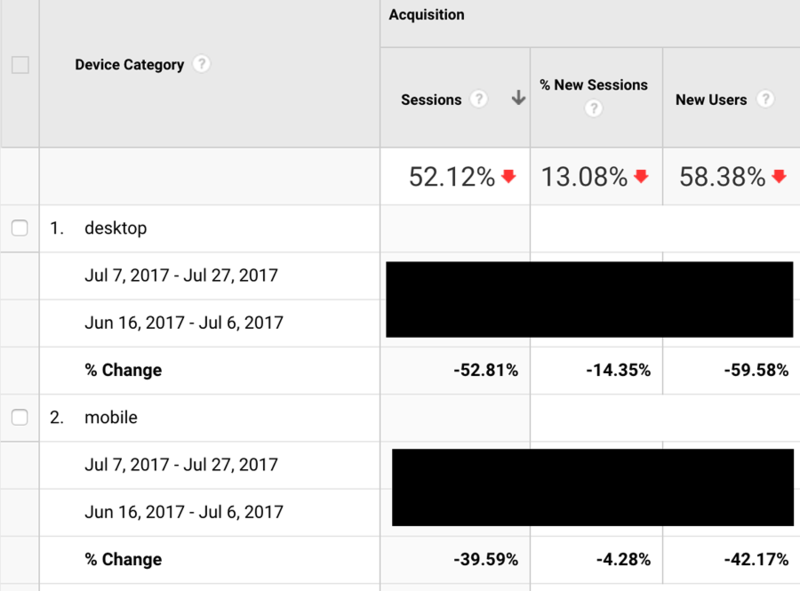 First, you can track specific keywords — by adding them to Rank Tracker — and then examine how they’ve been performing over time. For each individual keyword, you get a full chart going all the way back to the moment you added that keyword to Rank Tracker. This is your ultimate confirmation — you’ve just lost your SEO visibility. 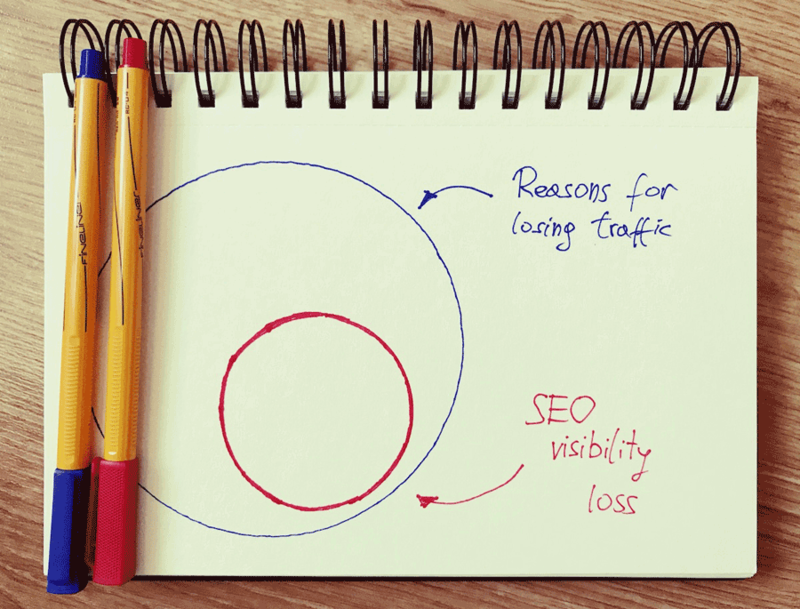 At this point, you know that you’re experiencing an SEO visibility loss … but what could be the reason of it, and more importantly, how to bring things back to normal? A lot of strange things can happen right after you update your website software (like WordPress) or some plugins that you have running on the site. For instance, you might find out that some of your custom settings or custom redirects are gone, simply because a badly designed update failed to keep those backed up throughout the update. Maybe some of your pages simply stopped working altogether after a new update introduced some incompatibility between the different plugins that you have running in parallel. In other words, the reasons can be plenty, so what you should do first is go back to those GA charts, narrow down on the first day when your traffic dropped, and check if you did any changes to your site either that day or a couple of days before. I’ve mentioned this before, but it deserves a more in‐depth examination. As we all know, mobile is king these days. In fact, more people use mobile devices in 2017 than desktop (data says), so if your site isn’t optimized to receive mobile visits, you’re setting yourself up for failure big time. You can use GSC to check how mobile friendly your site is. Just go here and input the URLs from your site that got hit. If there are some serious problems found, you will most likely need to change your theme/design to a more modern and optimized one. I know, this might sound silly. This is probably the first thing you checked. However, Google bot might have still tried to crawl your website while your server was down. In general, it’s a good practice to have your site hooked up to a tool like Uptime Robot. It will notify you whenever your site goes offline. After a while, you can have a look at your overall server uptime chart. If there’s too much downtime, Google might start penalizing you for it. The canonical is still often misunderstood or (and) misused by webmasters. 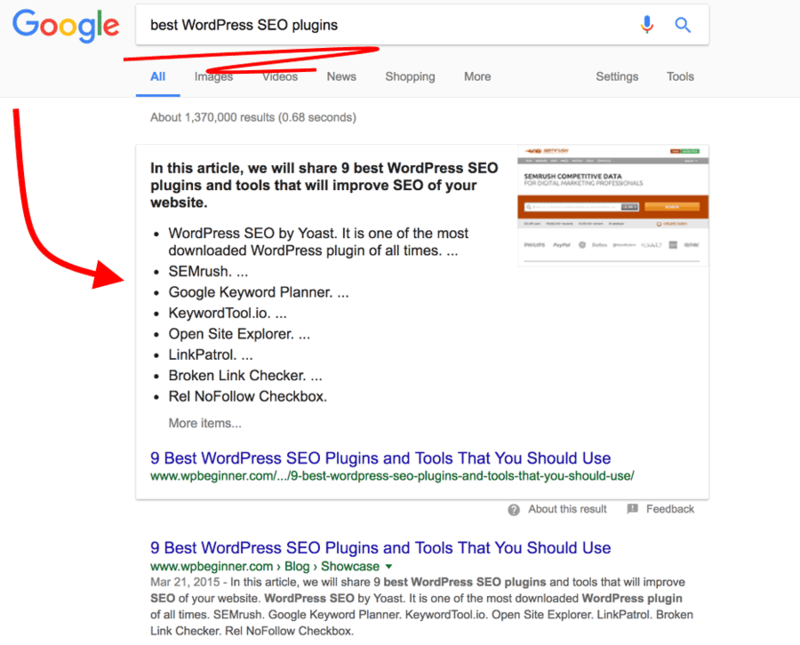 In its core, the tag tells Google which version of a given page you’d prefer to have indexed and displayed in the SERPs. Google explains everything in depth here. With that, there are also some very common mistakes that people do when using this tag. Things like pointing it to the first page of a paginated series, or mixing up relative/absolute URLs. Google has a separate whole resource on those mistakes. It’s worth a read. Again, these sort of troubles can appear whenever you change anything about your website’s structure or software. the HTML structure of your content pages changes, and so on. In short, there’s plenty that can go wrong during a redesign. Check your robots.txt file and make sure you’re not blocking any URLs or bots by accident. Check your .htaccess file for similar issues. Check how you’re using the aforementioned canonical and hreflang tags. Go back to GSC and see if the number of 404 pages on your site hasn’t increased. Also, check if there isn’t any drop in the number of your indexed pages overall. If you’re using hard redirects, make sure they’re code 301 — seen as permanent by the search engines. Make sure you don’t have competing pages trying to rank for the same keyword. Rather join those pages into one, stronger page. Check if your URL structure isn’t completely different after the redesign. Sometimes, nothing bad needs to be going on with your website in order for you to lose SEO visibility. Let’s not forget that we’re all in a huge ecosystem of websites, and every single webmaster is trying to improve their SEO. For that reason, your drop might be a result of a competitor simply upping their game and overtaking you in the race. Use a tool like SimilarWeb to check how your website compares to the competition. Go to the main tool and look it up vs. your top 3–5 competitors. 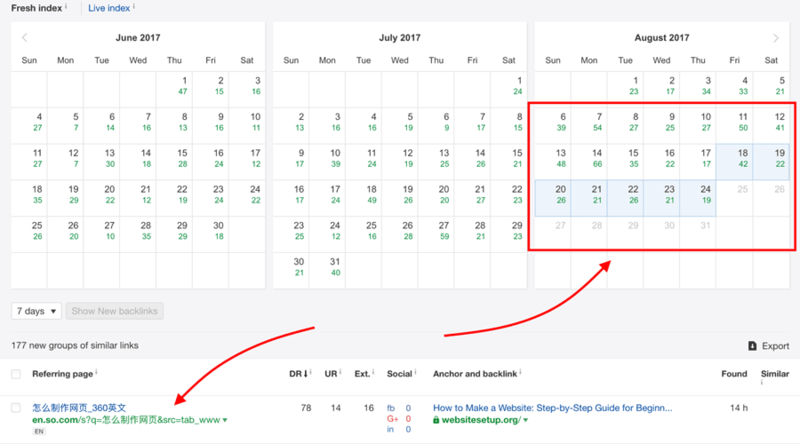 You can adjust the date range to only display the period that you’ve identified earlier through GA as the moment when you started losing your traffic. If your competitors indeed experienced a gain, you should look into the content they either published recently or the past content that they fixed/improved. A tool that’s great for looking up any website’s past content is the good ol’ Wayback Machine. See what your competitor’s content used to look like prior to it gaining more SEO visibility. Oftentimes, you will find that your competitors work really hard on improving past content. Having this sort of knowledge is a great starting point to figuring out what you can do to improve your own content game. Since link building is a huge part of anyone’s SEO efforts, it’s safe to assume that your competition probably has a bunch of shiny new links to brag about. You can look those up via Ahrefs. You can add any competitor’s website to your Ahrefs dashboard and then monitor their sites like your own. 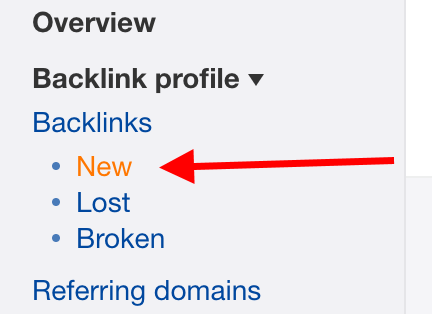 All you need to do is go to Backlinks → New from the sidebar. Once there, you can adjust the time period that you want to examine, and you can even sort the list by parameters like Domain Rating (DR) or URL Rating (UR) to see the strongest links first. If you find something of really high value, there’s a big chance it’s the reason why your competitor has taken over your spot. See how you can build links from the same site too and earn back some of your SEO visibility. Lastly Google admitted that they basically want to kill unencrypted internet and will soon begin flagging all non‐HTTPS websites as unsafe. But even long before that, Google made it very clear that HTTPS is a ranking signal. The original announcement dates back to 2014. So what does that mean? Quite simply, maybe your competition has already adopted SSLs and you haven’t? I know that “blame your host” sounds a bit cliche, perhaps. But that’s actually a real problem, and it happens more often than it should. In fact, if you’ve been wondering where I got all those Ahrefs and GA screenshots from — the ones presenting real numbers and real drops — the answer is simple — we’ve experienced a huge drop of our own. It happened at CodeinWP.com/blog (a site I take care of). “Okay … this can’t be good” — I remained calm, trying not to lose my composure. “Cool … whatever … maybe it’s just a glitch” — my delusion continued. I tried to carry on with my morning as if nothing ever happened. As I was soon to discover, however, after another 10 days of no love from Google — this wasn’t a glitch at all. It was quite serious. Around 80–90% of the blog was gone from Google. As it turned out, our web host indeed. I’m not entirely an advanced technician when it comes to hosting, so the only summary I can give you is that our hosting company added a new HTTP directive named X‐Robots‐Tag (set to “noindex”) to some of our blog pages. This tag was not visible when viewing the page’s source, only when doing a direct HTTP request. The lesson here? Whenever you’re experiencing any serious SEO trouble at all, contact your host and ask them if everything’s okay on their end. Maybe they’re moving servers, maybe they’ve been hacked, or maybe there’s something else you should know about. Long story short, Google is very proficient with algorithm updates. And for a good reason — those updates are what makes them the best search engine around. Still, though, they can be stressful. So the challenge is, how do you find out if you were hit with an algorithm update? Panguin Tool seems to be doing a great job at that. It shows you correlations between your search engine traffic and the known Google algorithm updates. All you have to do is go to the tool, log in with your GA account, and select the desired GA profile. It will present you with an overlay view of your organic traffic vs. Google algorithm updates. The great part here is that this works on any screen within GA, so you can look into the overall numbers, individual pieces of content, devices, and so on. If you can see any correlations, look into a given Google update more closely and figure out what the problem is and what you can do to solve it. 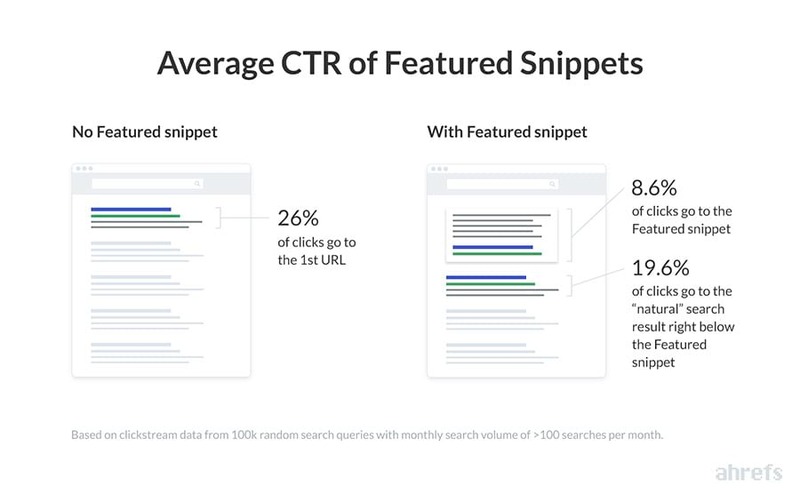 According to Ahref’s study, more than 12% of search queries have featured snippets in their SERPs. Although those snippets can be genuinely helpful to whoever’s doing the search, they aren’t always great if you’re trying to rank for that keyword. We’ve found that featured snippets tend to steal clicks away from the #1 ranking result. What this means for you is that even though you might still rank #1, if a competitor takes the featured snippet spot, you will get less clicks. Further above, we talked about how you can check if your competition has gained links. The very same way, you can check if you perhaps have lost yours, for whatever reason. Again, we’re doing this via Ahrefs. For that, go to your dashboard, and then Backlinks → Lost from the main sidebar. There, you can adjust the time period that’s of interest to you and sort the list by the most valuable domains or URLs (respectively the DR and UR columns). If there’s a big number of links on the list, or there are highly valuable links on it, you best reach out to the webmasters managing those sites and try asking what’s up. I know that this guide is a lot to take in, and that we’ve covered a lot of ground here. However, I really wanted to make this as complete of a resource as I could. Frankly, when you lose SEO visibility, when your site drops, when you don’t get as much traffic anymore, this is usually a very serious and stressful condition, and you will do literally anything you can to get to the bottom of what’s going on. So I hope a resource like this one, even though huge in word count, will help you get the answers you need! Going forward, I’d really recommend you check out what Ahrefs can do for you in terms of SEO visibility and keeping your finger on the pulse when it comes to your SEO efforts in general. Acting fast is key when bad stuff is going on with your website. With Ahrefs’ notifications and alerts, you will know what’s going on right away. how to fix the situation. So what’s your take here? Is there anything you’d like share about your own experience with SEO visibility loss?